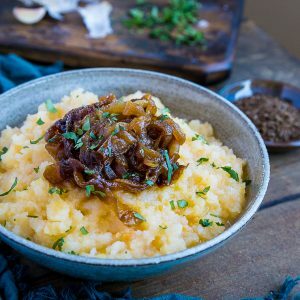 Creamy mashed rutabaga with caramelized onions is a flavorful lower carb alternative to mashed potatoes. Whip it up for all your holiday gatherings for a showstopping side dish! Hey-o! I thought I’d pop in to provide side dish inspiration to add to your holiday menu. Rutabagas contain fewer carbs and calories than potatoes, and also more nutrients. If you’re trying to keep your holidays lower-carb but still enjoy carb feel-alikes, rutabaga’s your jam. Next to yams, rutabagas are my favorite root for mashing. Mashed rutabaga is even tastier to me than regular mashed russet, gold, or red potatoes. It has a naturally sweet and creamy flavor, making it far more entertaining to my palate than a standard potato. Plus, adding ghee, coconut milk, and nutmeg make this thing soooo luxurious! Rutabaga contains glucosinolates, which reduce the growth of cancer cells. They also contain carotenoids and vitamin C to prevent oxidation and remove free radicals. 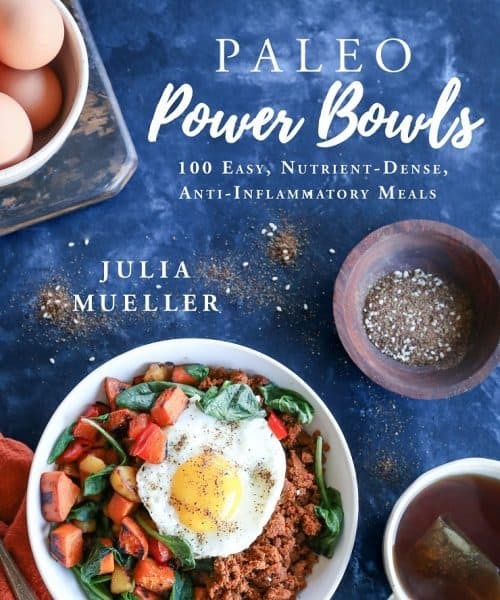 For those who struggle with getting enough fiber, rutabagas can be of assistance! They contain a dose of dietary fiber to help move things along in your digestive system. Attention Low-FODMAP-ers – if you eat a low-FODMAP diet due to IBS, rutabaga is one of the roots that is low in FODMAPs. This mash is tummy-friendly for those of you with digestive issues, provided you skip the caramelized onions! 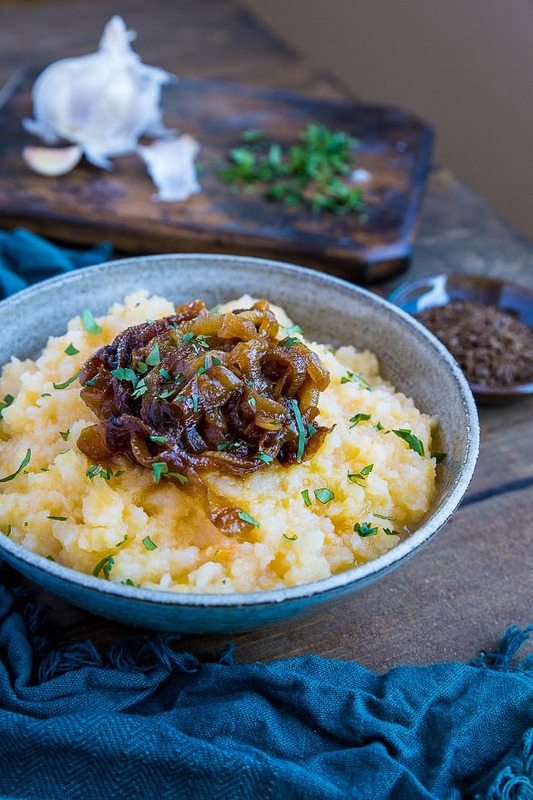 Chop up the caramelized onions into small pieces and mix them into the rutabaga mash rather than serving them on top. Use 1 lb turnips and 1 lb rutabaga if you’re jonesing to incorporate turnips. Omit the caramelized onions if you follow a low-FODMAP diet, or are short on time. I don’t recommend substituting the ghee or the coconut milk – these ingredients are really what make the mash POP! One of the best parts about recipes like this is it is not only straight-forward and fairly quick to prepare, but it can also be made ahead of time. If you’re preparing part of your holiday menu early, this mash can be made up to 4 days in advance. If you make the mash, feel free to comment below telling me what you think! Heat the avocado oil in a large skillet over medium heat. Add the sliced onions and saute, stirring occasionally, until onions are translucent and begin to brown around the edges, about 15 to 20 minutes. Reduce the heat to medium-low and continue cooking, stirring occasionally, until onions have caramelized, about 30 to 40 minutes. Note: once the onions begin sticking to the skillet, de-glaze the pan with a few tablespoons of water - you'll likely need to do this 2 or 3 times. While the onions are caramelizing, prepare the rutabagas. Peel the rutabagas and chop them into 2-inch cubes. Bring a pot of water to a full boil and add the chopped rutabagas. Boil for 20 to 25 minutes, until very tender. Strain the rutabagas and place them in a high-powered blender or food processor. Add the remaining ingredients and blend until creamy. You will likely need to stop the blender/food processor a few times to scrape the sides to help the blending along. Note: if you don't own a high powered blender or food processor, simply transfer everything back into the pot you used for boiling and mash it all together using a masher. Taste mashed rutabaga for flavor and add more ghee, coconut milk, and/or sea salt to taste. Serve with your favorite entree. I just tried rutabaga for the first time recently. Loved it! This recipe is a keeper! 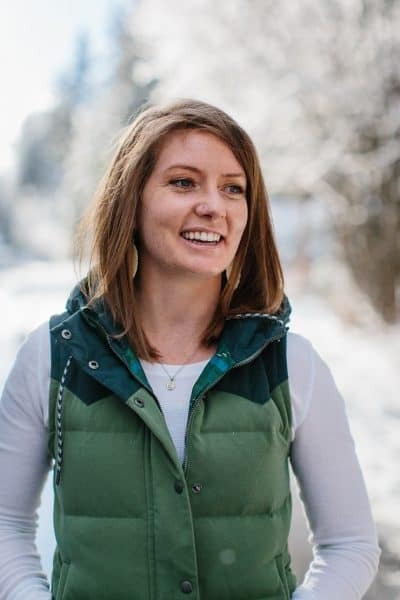 This may be a foolish question but is coconut milk used to avoid dairy?